Global hospitality brand, L.E. Hotels, has welcomed the iconic Lotte New York Palace to their Luxe Collection. This historic landmark in Manhattan offers 909 spacious and unforgettable guestrooms and suites with premier views of the city’s skyline, including St. Patrick’s Cathedral and Rockefeller Center. 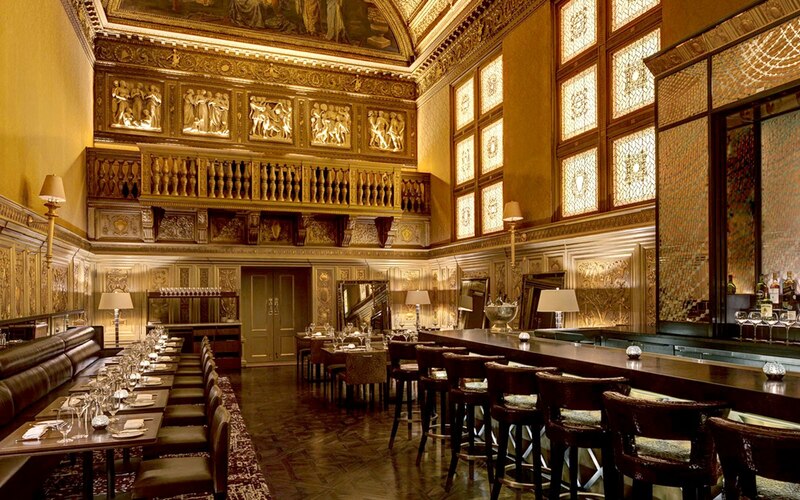 Lotte New York Palace is an incredible addition to the other properties within the Luxe Collection by L.E. Hotels. Known as a historic landmark in Manhattan, Lotte New York Palace offers the ideal setting for travelers looking to escape the bustling city for a relaxing and elegant retreat on Madison Avenue in Midtown. 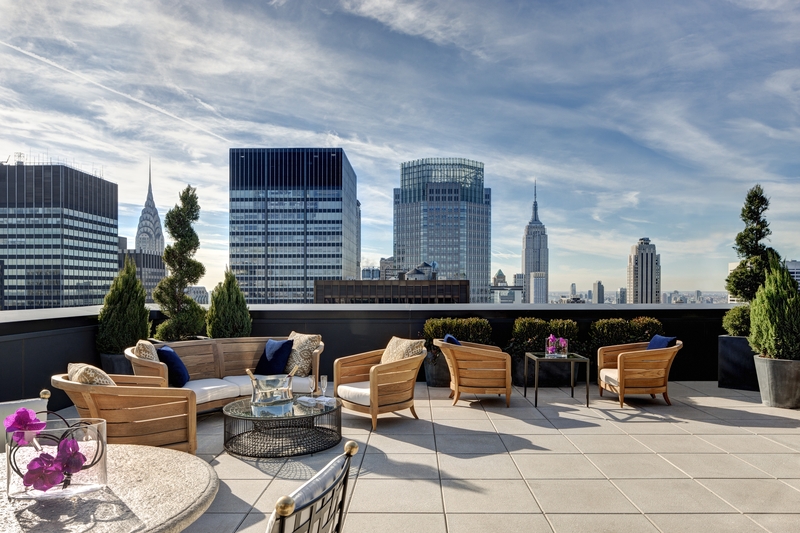 This New York City hotel features luxurious furnishings with premier views of the city’s skyline, including St. Patrick’s Cathedral and Rockefeller Center which are only a few steps away. 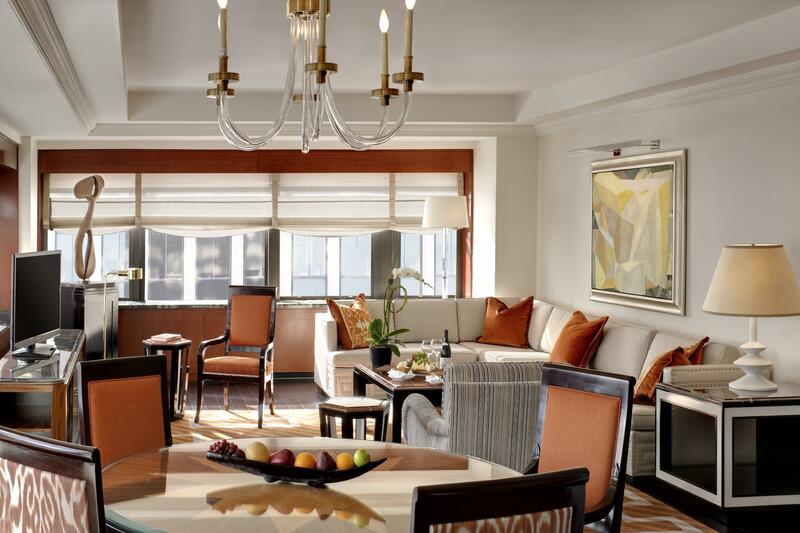 Lotte New York Palace offers 909 spacious and unforgettable guestrooms and suites. Ranging from Superior Rooms to Corner Cathedral View Rooms—the hotel’s most requested—to Deluxe Two Bedroom Suites with an oversized living room, connecting bedrooms with en-suite marble bathrooms. All come equipped with modern services and amenities for the ultimate vacation. Guests looking for an exclusive, indulgent experience can opt to stay in The Towers at Lotte New York Palace located on the hotel’s top fourteen floors. Arrival starts at a private check-in area and includes exclusive access to some of the most glamorous and extra-spacious accommodations in all of Manhattan. The rooms and suites in The Towers vary in size, leading up to the most elaborate, award-winning options including the 5,000 square-foot Jewel Suite designed in collaboration with jewelry designer Martin Katz. This triplex suite comes with luxurious bathrooms, a mirrored dining room, a private, en-suite elevator, an expansive rooftop terrace with a jewel-tone hot tub, a complimentary Martin Katz diamond microband ring and much more. Lotte New York Palace offers incredible conveniences, including a full range of spa and wellness services and a fitness center overlooking St Patrick’s Cathedral. 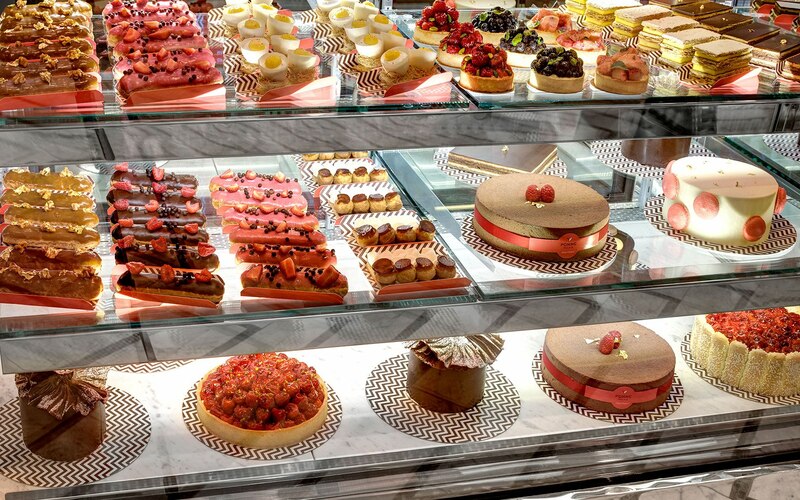 Toast to Old New York at the hotel’s diverse restaurants and bars. 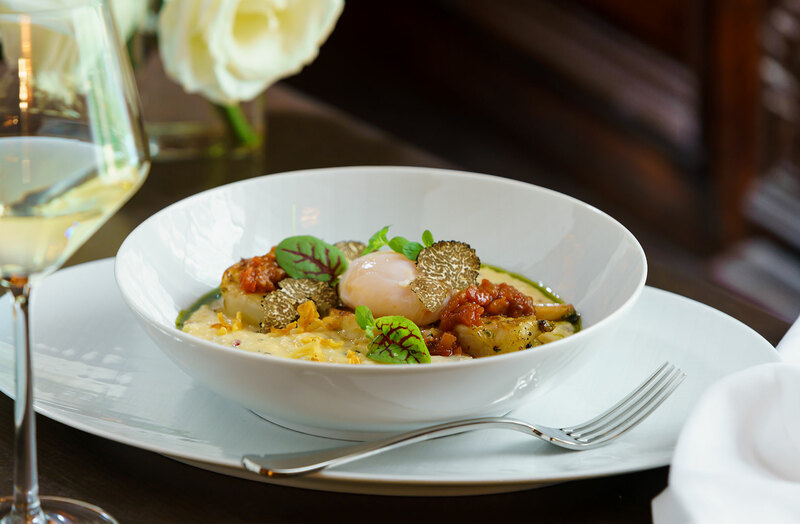 Don’t miss the chance to dine in the city’s ultimate “Breakfast Room” at signature restaurant, Villard, housed within the historic and architecturally spectacular Villard Mansion. Chef Oscar Granados serves up a New American menu comprised of “farm house” breakfast fare in this truly grand New York room. Or, enter Rarities, an intimate 25-seat salon where only the rarest, most sought-after spirits, Champagne and wines are served. “We are excited about our affiliation with Luxe Collection by L.E. Hotels to further provide Lotte New York Palace that global awareness as “the” place to stay and visit when in New York,” said Becky Hubbard, General Manager, Lotte New York Palace. 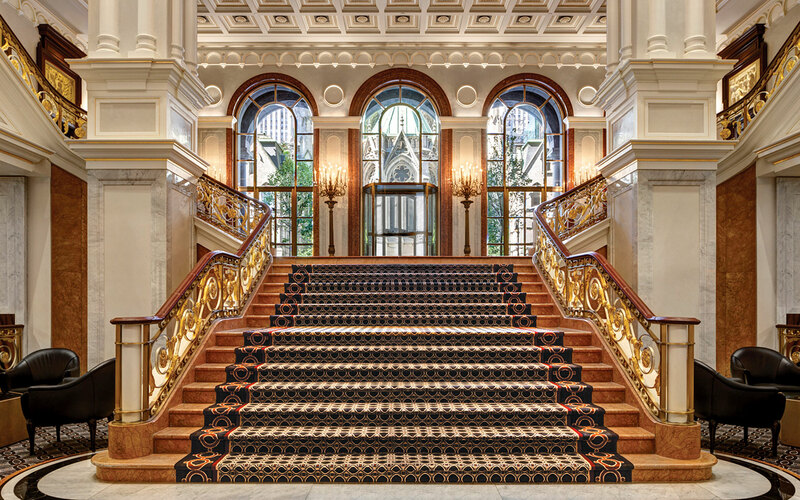 For more information on Lotte New York Palace and all of the properties in the exclusive Luxe Collection, please visit:https://www.lehotels.com/luxe/. Luxe Collection is comprised of a select group of hotels within L.E. Hotels’ “Limited Edition” of properties. The Luxe Collection is a classification of select L.E. Hotels properties that have achieved the highest quality of service and those that have been highly ranked by their critics. Each hotel was selected based on a combination of popularity index rankings and desirable locations, among other factors. Luxe Collection properties are best-in-class boutique hotels and resorts within the L.E. Hotels portfolio. From world-renowned shopping districts to scenic resort destinations, to bustling city centers, each hotel selected to join the Luxe Collection epitomizes exceptional service and offers outstanding guest experiences. Luxe Collection hotels reside in some of the most prime locations across the world, from glamorous Rodeo Drive in the heart of Beverly Hills, to just steps away from the legendary Via Veneto in Rome and to the famous Champs-Élysées in Paris.